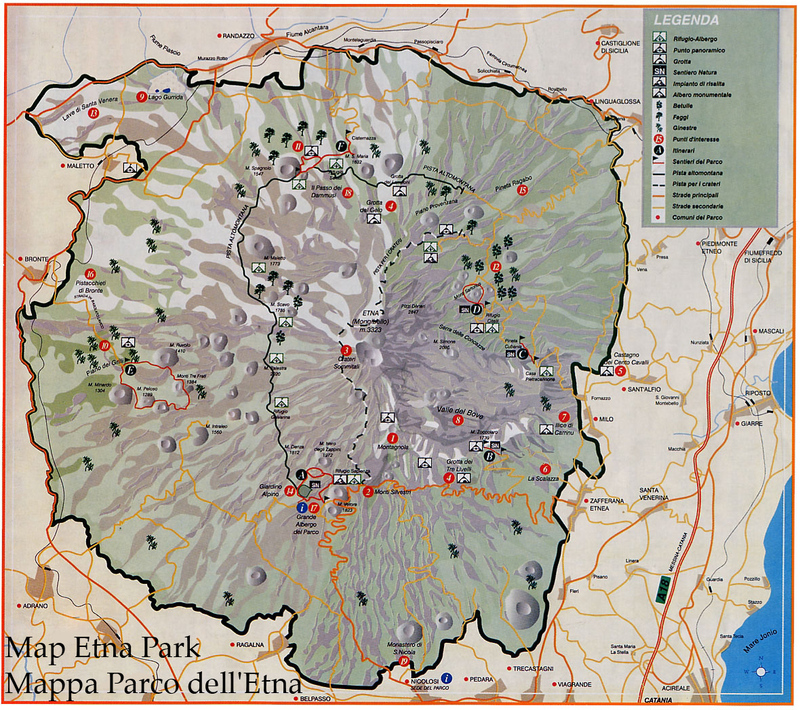 Etna Touring proposes a series of tours for groups of people and schools of every order and ranking so as to let them know the variegated and multiple aspects of the highest active volcano of Europe, Etna. Our guides are all alpine and volcanological guides, prepared and experienced, regularly registered at the Regional College of Alpine and Volcanologic Guides, with mountaineering experiences on the highest volcanoes in the world (especially in Ecuador and Chile). All the tours described are carry out totally on foot and/or by means of the cableway and/or the off road minibuses and they present different level of difficulty. visit to some lava caves, the most important and interesting we can mention the Ice Grotto, the Raspberries Grotto and the Three Levels Grotto. Crossing of Etna, which permits to visit the South and North sides of the volcano. Excursions with personal guide, for all people who wants to visit the volcano in company of few friends or even alone. Excursions for Italian and foreign schools (nature paths), for boys and girls of elementary, middle and upper schools, with particular attention to the volcanic, naturalistic and cultural aspects. Winter excursions with ski mountaineering or snow-shoes..